I use Martin's cages: the R695 (pictured below), R680, R690 and a F-435. Rat Cage Calculator This gives you a good reference to see how many rats can be housed in a certain sized cage. Andrea's Rattie page also shows a home-made cage. 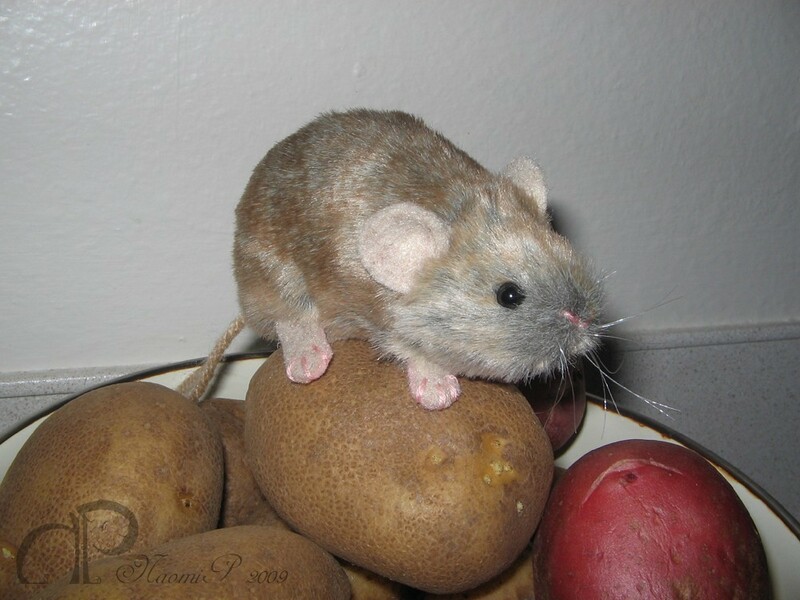 Spoiled Ratten Rattery Varieties - great site showing photos of Agouti and black (non-agouti) based colors, common and uncommon colors, as well as coat, ear and tail types. Curiosity Rats Genetics Page - Explains inheritance, discusses many different varieties, and also has health information. 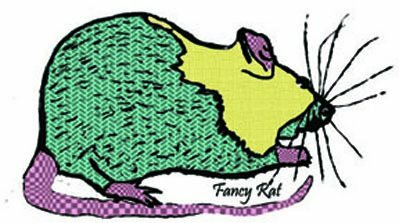 The Dapper Rat - a wonderful site with articles, fun stuff, pictures, and and shop for products. These are ratteries (*in alphabetical order) I've dealt with and/or who I have found to be very ethical. Many of the stores listed in the "For Rat Lovers'" section sell hammocks, so you will see some here too. Dearpie's Hammocks - a large variety of hammock styles and fabrics and a hundred or more fabric styles to choose from. 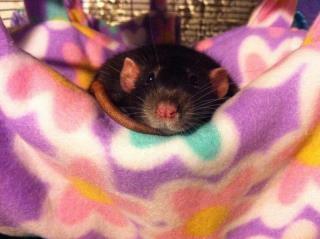 The Cozy Corner - All the fleece your rat needs: hammocks and nests for critters. The Rat Stash - Large assortment of Gifts for Cool Fuzzies. Hammocks, Liners, Toy & Accessories. Also Discounted Hammocks for Small Animal Rescues. Morumoto. She makes adorable rat and other rodent plushies. She can do special orders if you send her pictures of your rat. 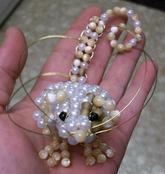 Dawn Burke - Fancy Rat Fine Arts, Crafts and Photography. Rat Happy - wood plaques, memorials, snuggies and more. 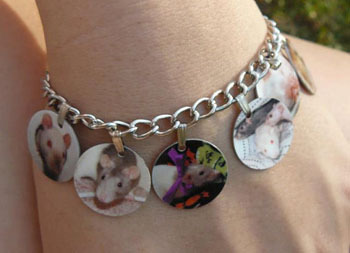 Farrah120 - rat-related t-shirts and personalized jewelry. 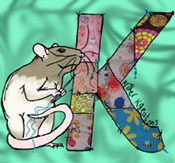 Apes Little Paws - Crochet Hammocks, tunnels, stuffed rats, handbags, shoulder bags, kennel pads, doggie blankets. 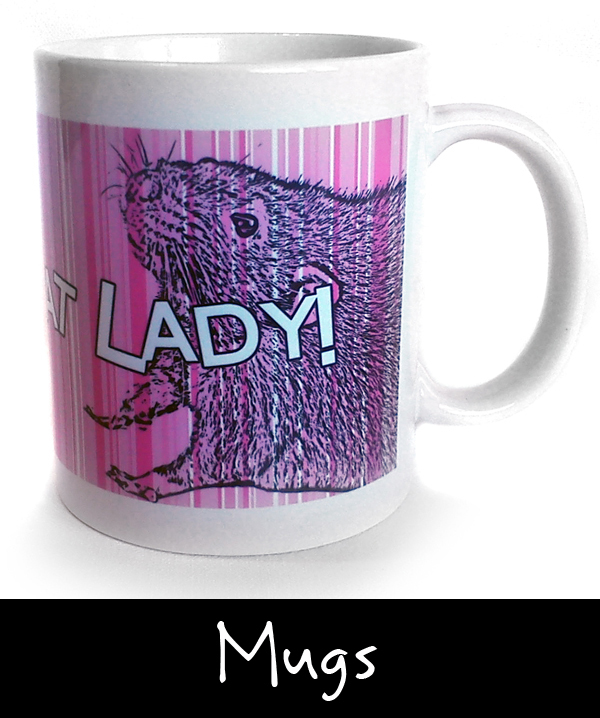 More coming soon...t-shirts, coffee mugs, etc..
RatsInPants - rat inspired handmade items such as rat frames and wall art, rat candles, rat coasters, rat magnets and more. R.A.T.S. - a unique collection of rat costumes to show off your rats in. Also some jewelry, t-shirts and more. 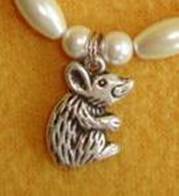 RatFanClub - t-shirts, book marks, magnets, bracelet charms and more. - Embroidery Items and more.